“Canada is the unicorn” when it comes to migration said Ben Rempel, the Assistant Deputy Minister of Education and Training at the Office of Immigration and Economic opportunity. This is because Canada is one of the few, if not only, countries where provinces share power with the federal government to set migration numbers. Many provinces feel they do not have the workers and immigrants needed to fill the need within their industries. In addition there has been a grassroots movement to increase the number of refugees within various communities across Canada. “You have to look at the humanitarian side of it first,” said Greg Janzen, Reeve of Emerson-Franklin municipality. A Reeve is the equivalent of a mayor for a collection of towns. Although increases in asylum-seekers has raised security concerns for border towns in Canada like Emerson, the community, overall, has maintained a positive and supportive role for asylum seekers and newcomers. I found this largely to be the perspective of most Canadians. Nearly all Canadians I have spoken to see immigration as a humanitarian obligation and a benefit to their communities. One example of this type of grassroots, bottom up approach to the refugee problem is Altona’s “Build A Village” organization. Founded in part by Ray Loewen, a leading figure in Altona’s community, “Build a village,” focuses on refugee relocation. 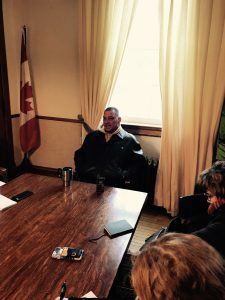 He brought rural resettlement to Altona after reading an article that made the argument that the current qualifications for resettlement could be met within rural communities. Common understanding was that resettlement couldn’t work in rural communities cause you did not have a “critical mass to sponsor families,” however it has been largely successful in these regions. The community started by resettling one family into thousand and five and has since resettled 30 families and over 200 people. Amy Loewen, a community volunteer with two young boys, aged four and two, has become close friends with many of the refugee families resettled in Altona. It’s just so “surprising to me that there are so many road blocks in other communities when it really has not cost us anything” said Loewen of their resettlement experience. Altona is home to refugees from Syria, Venezuela, Sudan, Palestine, and many other nations. As she spoke with me she reiterated how beneficial and enriching her experience has been getting to know refugees from all walks of life, “we are richer for it.” Most of Altona’s population are themselves first, second, or third generation immigrants to Canada, and they have not forgotten their past. Altona is a sleepy little town of 4,123 people in southern Manitoba. Home to the world’s largest replica of a Vincent van Gogh sunflower painting, its residents affectionately call it the “Sunflower Capital of the World.” And now a growing population of refugees calls it home. An estimated one percent and growing of the town’s population are resettled refugees. Dieudonne Mbarushimana came as a Burundian refugee to Manitoba by way of Tanzania, where he spent six years in a Tanzanian refugee camp. He is paralyzed from the waist down – the result of an accident when he fell from a tree. His refugee camp did not have the medical resources to perform the necessary surgery, so he laid on a hospital bed for six years, from 2003 to 2009. He became such a fixture in the refugee camp’s medical facility that the nurses and other patients would come to his bed and take pictures with him. Eventually, he was sponsored as a refugee and came to Manitoba to be resettled in Altona. He did not speak English when he first arrived, so the pastor of the local Mennonite church tutored him in English. But now, “There’s no one else to talk to in my language,” he explained.” There were many things that I want to say but can’t. I can only talk to other people in English.” And even then, he was still working to improve his English. To his knowledge, there were no other resettled Burundians in his community. So instead, he keeps in touch with the other Burundian refugees from the Tanzanian camp over Facebook and Whatsapp. He followed them as they were resettled all throughout the United States and Canada, but he has not been able to meet up with any of them in person since they left the Tanzanian refugee camp. He keeps in touch with his native country and the Kirundi language by listening to Radio Maria, a Catholic radio broadcasting service transmitting in Kirundi. He had even sent money to the Burundian Radio Maria pastor to get a hat and t-shirt to show Burundian pride in Altona. The conversation over refugee narratives often fluctuates between those of “resilient survivors” and “sympathetic victims.” Mbarushimana is undeniably a resilient survivor. He scrapes together his living by helping set cutlery for residents of an apartment complex, and by selling ponchos and cartoon character dolls that he knitted. He comes to the Bergthaler church several times a week to get food from the church’s food bank. But in spite of these difficulties, he is still glad that he came to Canada. Pedro Lopez’s face lights up when he sees Walter Heibert. He immediately jumps out of his chair for an enthusiastic hug, and Mr. Heibert seems no less excited to see him. “I cannot pass without saying hello,” he explains. For his part, Mr. Lopez declares, “I love him,” growing emotional as he explains their relationship. Five years ago, Mr. Lopez left his home in Venezuela. He came to this town of 4500 in the flat, open expanse of Manitoba’s plains. Since his arrival, he has built deep relationships in this town, and has helped sponsor 16 family members who have also moved to Canada. In Venezuela, says Mr. Lopez, “life is politics.” Until 2007, he worked for an international oil company until the government took over all oil production – an “appropriation of property, not a nationalization,” he says, because “the government did not pay.” After a dispute over back pay – the government told him to ask his company for wages leading up to the transition – Mr. Lopez had to find other work. In 2012, he moved to Canada, where he found work at a printing company, Friesen’s, in Altona. He obtained permanent resident status through the provincial nominating process for immigrants to fill economic needs, and began to build a new life. “Work is the force which achieves your goals,” he says. Initially, he worked a night shift, going to bed at 6:00 AM. Twice a week, though, he was up again for English classes at 8:30, with Walter Hiebert, the man he’s now become close with. The classes were organized by Friesen’s, which also helped bring several of his relatives to Canada as a sponsoring employer through the provincial nominating process. They know that “I’m not going to bring anyone crazy,” he says. Mr. Lopez has also built relationships with local Mennonite churches and a group they support, “Build a Village”, which sponsors refugees through Canada’s private resettlement program. “Everybody that has contact with us here in town helped us,” he says. He also welcomes new Syrian families in town. He has gotten to know them, he says, through the churches and Mennonite Central Committee, a relief and development organization which also helps resettle refugees in Canada. “They connect us,” he says, especially through an “English café” on Mondays, where everyone can gather to practice their new language, and some native Altonans show up to practice their Spanish. Despite his warm welcome, Mr. Lopez’s transition to life in Canada has been difficult. “To be an immigrant, you need a big heart to take it,” he says. His first winter, he explains, he was very afraid of the cold weather, though now he likes it, because no matter the temperature outside, it is always warm in his house or car. More wrenchingly, his mother passed away in Venezuela last December, and he was unable to attend her funeral, because his Venezuelan passport had expired and he does not yet have a Canadian one. “I did cry many times,” he says, dabbing his eyes at some of the memories. “Do you still have all those watermelons?” asked Linda. “Yes,” replied Ahlam, “four hundred.” Francesca and I looked at each other shocked and then stared in awe at Ahlam. For the previous twenty minutes, Francesca, Linda and I had made small talk over homemade shawarma while Ahlam stayed relatively quiet. Francesca Billington is a fellow student wh o was invited to eat with refugees at Bergthaler Mennonite Church in tiny Altona, Canada. Linda Loewen, a volunteer at the church, has helped privately resettle refugees. Ahlam Dib is a mother of eight who came from Syria to Altona two years ago, with the the church. My first impression of Dib was that of a shy mother. She sat quietly and held her eleven-month-old daughter while we talked and ate. Loewen first piqued her interest when she asked Dib about her watermelons. Dib immediately brightened up and began talking about the farm that she owned and operated. Having been a farmer in Syria, she now grows watermelon, zucchini, tomatoes, and fava beans, though her Syrian eggplants won’t grow in Altona, much to her chagrin. In Syria, Dib helped her husband run a sheep farm, planted and sold vegetables, worked as a hotel manager, and owned a clothing store for women and children. When the Syrian Civil War escalated, she and her family, including six children, moved to Lebanon. In Lebanon, Dib had a find a way to pay for her children’s education, as school was not free. So she continued her farm work while also holding a job cleaning and assisting at a pharmacy. After three and a half years of living in Lebanon, Dib received a call that she had been accepted to move to Canada: in two days. Dib knew there was no time to lose. She began her two sleepless days by immediately going to the store and buying all the seeds she could get her hands on: she needed to continue her livelihood in Syria. She also bought Syrian food and spices and new clothes for her children—she had no idea what would be available in Canada. In what seemed like no time, Dib and her children were stepping off the plane in Winnipeg with eighteen bags—two filled with food and one filled entirely with hijabs. Dib cried when she saw her reception, both from shock and happiness. Shock from the snow and the cameras (her family was the first Syrian family to arrive in Altona since the Prime Minister announced the refugee focus on Syria), and happiness that Loewen and her husband, Ray, were welcoming her to Canada. In their hands they held signs that said “welcome” in Arabic, and they greeted Dib and her family with standard Arabic pleasantries. Today, Dib says she loves living in Canada. Her oldest daughter has 3 diplomas, and her second-oldest has two. Her 14-year-old son is the star of his high school’s soccer team. Her produce business is thriving and she has made many Syrian friends. What strikes me most about Ahlam Dib is how she embodies the “resilient survivor”, a personification of the refugee experience that tends to be much more respectful and accurate than portraying refugees as victims. Though I knew most refugees fit this mold, I didn’t expect the first woman I interviewed to represent the resilient survivor in every way. It’s around 30°F at the Canada border, where Manitoba, North Dakota, and Minnesota meet. We clamber out of our warm vans at a decommissioned border crossing and look over the raised mound to our right, at the frosty stretch of land where refugees cross “irregularly” from the US in order to claim asylum in Canada. The sign is gray-black, with simple white font saying “Welcome to Canada: Please stop and report entry” in English and French. Just a little over two miles west is the current legal border crossing, where Canada is trying to encourage newcomers to enter. But if they go through the established channels, many wouldn’t qualify to stay. The Safe Third Country agreement, a treaty between the US and Canada, states that refugee seekers must make their claim for resettlement in the first safe country they set for in. Many fleeing President Trump’s new immigration policies are aware of this, so the tiny town of Emerson has seen a huge influx in border-crossers. Greg Janzen is Reeve of Emerson and the surrounding towns (it’s like a mayor, for multiple nearby municipalities). He says the land under his jurisdiction includes 12-15 miles of the Canada/US border. The trickle turned to a flood last spring, when the area saw 170 irregular crossers in one month alone, according to Janzen. He says the number has stabilized at around 80 a month since the summer. For context, the town of Emerson has around 350 people, and “first responders” are members of a volunteer fire department who also work full day jobs. It’s one thing to sit in the Emerson Courthouse and Town Hall building and hear Reeve (a mayor of a collection of nearby municipalities) Greg Janzen talks about refugees who’ve lost fingers and toes from hypothermia, and even one woman in her 40’s who died in the attempt. It’s another thing entirely to stand near the drainage ditch where some had made their crossing, where even ten minutes in the 30°F air is too much. He’s worried about it getting colder, but not for himself – Janzen seems to be built for this weather, casually chatting with his hood down and his calloused hands exposed to the chill. He’s worried that the “border jumpers,” as he calls them, will keep coming even as temperatures drop below zero. “The media says – ‘It’s cold, dress.’ They still don’t dress,” he says. He doesn’t understand why the biggest influx comes in the winter, rather in the summer, and frequently in the dead of night. Almost all are single young men, but the families are the ones who make the photos. “For every one-hundred, there are about two [children].” Sometimes their cells don’t work in the cold, and the refugees knock on doors in the community. And though Emerson is growing wearier and warier of all of the passers-through, as of right now, many of those doors are still opening. 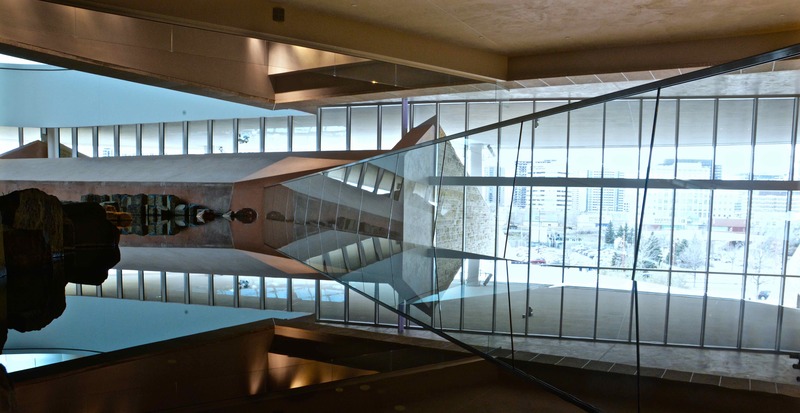 The Canadian Museum for Human Rights (CMHR) opened in Winnipeg, Manitoba in September 2014. Built by architect Antoine Predock, it is designed to replicate Canada’s natural scenery and open spaces, including its mountains, prairie skies, northern lights and glacial peaks. 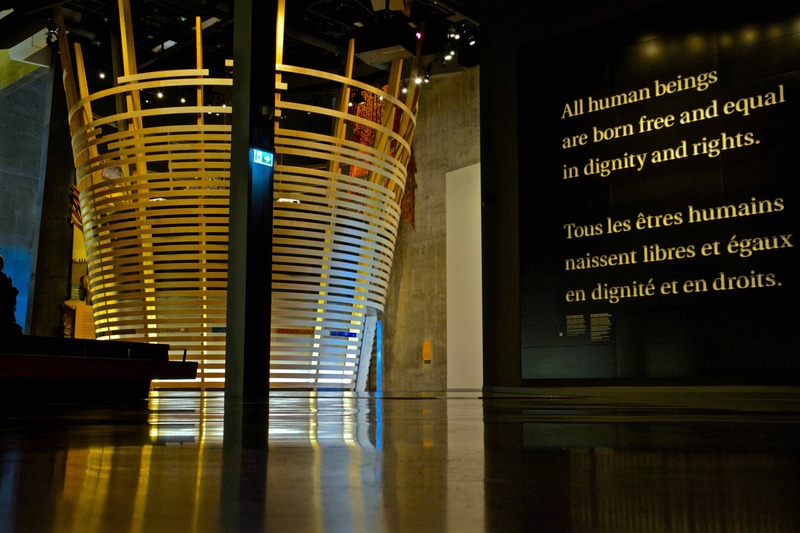 The museum aims to explore human rights in Canada and internationally, to enhance the public’s understanding, to promote respect for others, and to encourage reflection and dialogue. Asked whether the museum must answer to the government because of its national designation, the curator of the ‘Indigenous Perspectives’ gallery says that the question is asked often, but that in her year at the museum, she has never experienced governmental restrictions on the content of the exhibits. 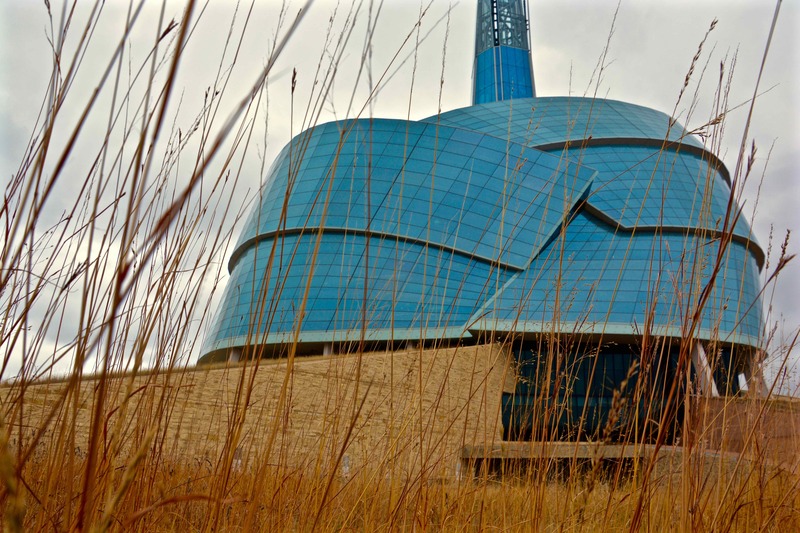 In resisting the word ‘genocide,’ CMHR pursues a conversation that TRC had already concluded. During a visit to the Canadian Museum for Human Rights, I noticed a consistent difficulty in representing human rights objectively. How do we define a genocide, an ethnic cleansing, or a refugee? And who do we rely on to define these terms—The UN? The Canadian government? The general public? Kendall McLean, a Museum employee who gave us our tour, said that the Museum struggled with communicating human rights in a way that everyone accepted. McLean explained that the Museum started out viewing its role as an objective conveyor of facts. She emphasized that she doesn’t think that the role of the Museum is to define words, but to educate the public about human rights, mostly through government and academic sources. The Museum quickly ran into issues with “objectivity”. For starters, there is no source that is the “official” voice on human rights. The Museum didn’t know whether to use official Canadian sources or sources from the UN, a particular NGO, or groups of people. The problem was demonstrated in the exhibit on genocide and mass atrocities, only the five cases officially labelled genocide by the Canadian government: the Armenian Genocide, the Holodomor, the Holocaust, Rwanda, and Srebrenica. 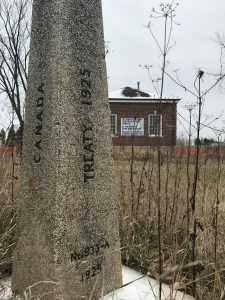 When I asked McLean about why only these were included, she noted that to become recognized by the Canadian government, significant lobbying is necessary. Thus, in McLean’s view, the exhibit is more about the importance of breaking the silence on genocide. To any observer without a guided tour, these five genocides seem like the only ones that fit the definition of genocide. In reality, there are dozens more that have taken place in the last several hundred years alone. There is no indication in the exhibit that these are special because people lobbied the Canadian government. In fact, it seems strange to emphasize genocides recognized by the government. Why not focus on genocides in which no victims have been taken in as refugees by Canada, such as the Timor or Creek genocides? Genocide is too important and all-encompassing an issue to be portrayed in such Canada-centric light. Aung San Suu Kyi gets more media attention today as the Burmese ruler who is all but condoning the genocide of the Rohingya people in western Burma. She is certainly not acting like a “champion of peace, democracy, and non-violence” in her current capacity. When I asked curator Jeremy Maron about why Suu Kyi is still featured, he said her picture is meant to “spark a discussion” about her legacy. Her picture, standing proudly between Nelson Mandela and Malala Yousafzai, and labelling Suu Kyi a “champion”, suggests that the discussion is closed. Though the Museum did post on Facebook asking readers about her legacy, anyone reading about Suu Kyi for the first time in the Museum would think she is a champion for peace. In general my frustration stems from the fact that the curators gave me arguments that were perfectly reasonable, but that were not reflected in the content of the Museum itself. Ben Rempel, the Assistant Deputy Minister of Manitoba Education and Training, said Tuesday morning, that resettling and integrating refugees is not only a humanitarian effort. It’s something that the Canadian economy and the country’s aging demographic needs. This is why the numbers of refugees Canada takes should be increased, Rempel said. Canada needs to “shift the discourse” and the government should start talking about refugees in terms of what good they can bring the country. 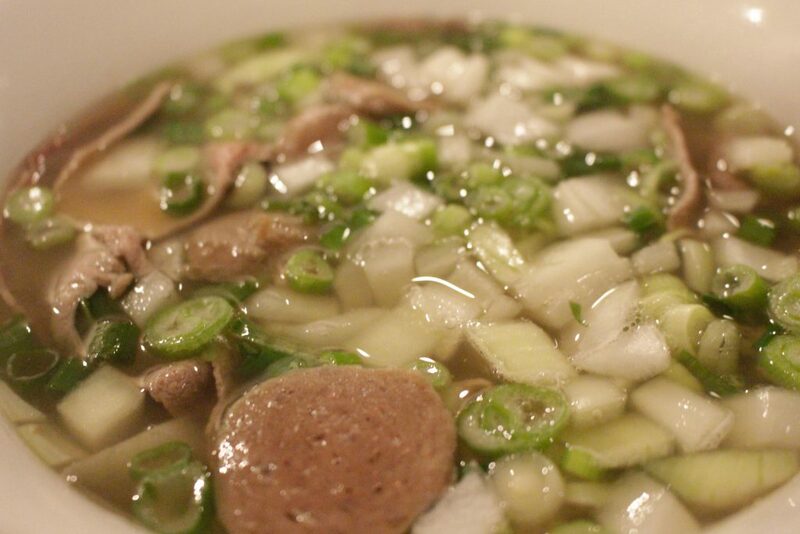 In other words: “If you help them, they will help you.” Tam Nguyen, the owner of Tam’s Pho on Portage Ave. in Winnipeg, promised himself, decades ago when he travelled from Vietnam to the U.S., that if he survived he would help other people in return. It had been three days since he’d eaten, there was no water left, and he was on a small boat packed with others making the journey. So how do refugees and Canadians understand the point or benefit of resettlement? 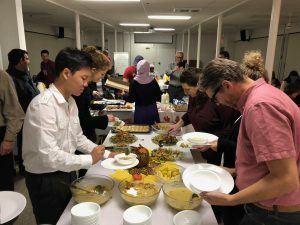 The Mennonite Central Committee Sponsorship Program recognizes refugee resettlement as having three distinct benefits: humanitarian, economic, and family unification. The MCC considers refugee private sponsorships as strictly humanitarian. Funding and supporting is not strictly tied to economic gains. Maybe it all comes down to whether acting in the spirit of humanitarianism or strong national economy are mutually exclusive.